Zero-point clamping system for set-up-time-optimized clamping. The compact size makes it ideal for light duty machining applications as well as non-machining applications like assembly fixtures and test stands. All linear dimensions in (mm) Note: The installation clamping module has high holding, pull-in and locking forces. This is opened pneumatically (1) and mechanically locked through spring force. Subsequent uncoupling of the pressure lines is possible at all times (module is tensioned pressure-free). 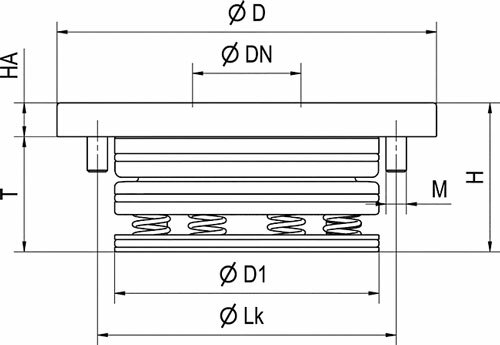 The clamping module with blow-out and support control has two connections: 1x pneum. opening (1), 1x pneum. blow-out and support control (3). (The pneumatic blow-out and support control can optionally be connected.) * Please observe the installation instructions.